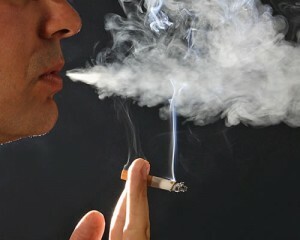 One in five deaths in the U.S. can be credited to tobacco, according to the U.S. Centers for Disease Control – a statistic that makes it clear: Smoking is a huge health problem. But there is good news: today America has more former smokers than current smokers, and more than half of current smokers say they want to quit. But according to the evidence, what’s the best way to break the habit? A new systematic review published by the Cochrane Collaboration analyzed 267 studies to assess whether currently available smoking cessation medicines are effective in helping smokers quit. The answer is a resounding yes. Currently, there are three smoking cessation products approved in the U.S. and Europe: nicotine-replacement therapies such as patches, gums and inhalers; the antidepressant drug bupropion; and the drug varenicline. For their analysis, researchers looked at the success rates for each of the medications compared to placebos. Specifically, the review found that participants were 80 percent more likely to quit smoking when using one nicotine replacement therapy or taking bupropion compared with those using a placebo. And they found varenicline more than doubled participants’ chances of quitting compared with those who used a placebo. In fact, varenicline was the most effective medicine, helping about 50 percent more people quit compared to nicotine replacement therapies. The researchers did note that while the safety of varencline is under investigation, they found no evidence that it causes an increase in neuropsychiatric or heart problems. The take-home message: Quitting smoking is a proven way to improve your health and reduce the risk of fatal disease. And the medicines on the market today are proven to help smokers kick the habit. Very informative article. I understand though that bad habits are difficult to break and it’s an emotional process, the more addictive qualities of the habit, the more difficult it is to change. People who are smoking and who want’s to kick their bad habits should acknowledge that they need to make a change in their life, families and friends should support them all throughout the process. The more they learn about their options and prepare for quitting, the easier the process will be and if only they could see the harmful poisons that are really there, they would quit.